When a fresh, uplifting scent for a comforting sanctuary is what you have been seeking, then look no further than lemongrass essential oil uses and benefits. Also popular in nutritional and dietary needs, this Asian inspired scent is one found as a stand alone as well as in many blends to be used for multiple means. 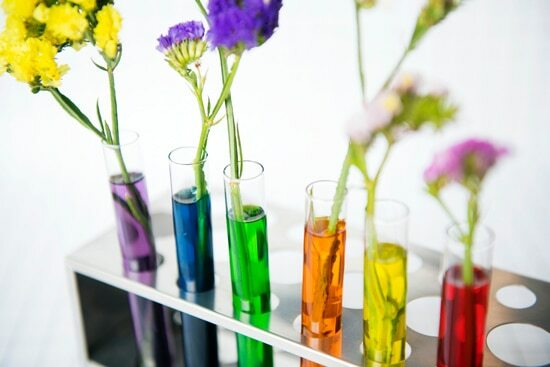 Essential oils are those oils taken from specific plants through a distillation or a cold pressing method. These oils retain the characteristic scents and other benefits of the plant to be used in various ways. Many essential oils are prized for their scents to provide a more relaxing environment, but others can be used topically for various ailments, as well as internally for their nutritional and diet value. They also can lend their flavor well to culinary experiences. Lemongrass is also known as citronella grass, and it is a native perennial to tropical climates throughout Southeast Asia where it lends flavor to popular dishes and teas. Also cultivated in South America, Australia, India, and Africa, it has become a cash crop for many countries as it is easy to grow and harvest, and it naturally repels many insect and diseases. The medicinal uses it also lends itself to have been used for centuries within cultures of the regions it is grown within. Pharmaceutically, it has shown to be effective as antibacterial, antifungal, and anti-inflammatory (amongst other things) depending on its preparation. Because of this, as well as its fresh, clean scent, it has become one of the most widely used essential oils. 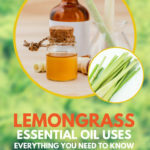 Lemongrass has a long list of uses as it is considered a fairly safe oil with very few side effects when used correctly, and it has no known interactive side effects when used with other oils. Be sure when purchasing in Lemongrass Oil that you know your supplier, oil source, and read the uses on the labels. All ingestible oils should be marked as such as marketed separately from those made for diffusion and topical application. It is important to note that before using ANY oil typically, always dilute if needed, and apply to your underarm (or other skin sensitive area) to determine if you have any reactions which can be easily washed off with soap and water. You also may want to consult with your healthcare provider before beginning any new regimen. As suggested above, lemongrass has many uses when distilled as an essential oil (EO). When diffused, it brings a relaxing aroma into your space and is often used for clarity purposes. It also may help deter certain insects, such as mosquitoes, gnats, ticks, and chiggers, and can be added to cleaning solutions around the household. When diffusing, note also that you are providing a cleansing effect on the areas where the droplets land due to the health benefits further noted below (this includes inhalation benefits). Because of this, it is also included in many oil blends for even stronger results. When used topically, not only do you benefit from the scent it provides, but it works as a natural insecticide and helps reduce pain and inflammation- making it a great post-workout massage choice when mixed with a carrier oil of some sort. Because of its antifungal and antibacterial properties, it may also soothe irritated skin and help heal minor irritations- and provide a barrier against infection. 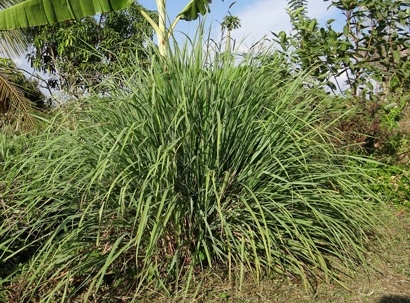 Lemongrass also has many popular nutritional and dietary uses. Not only does it brighten dishes and both cold-and-hot drinks with a clean lemony taste, it also has been used to soothe many stomach related discomforts. 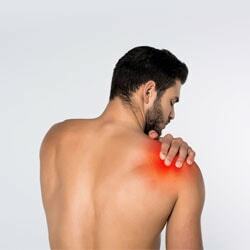 This is in addition to its use to help alleviate pain associated with headaches, arthritis, and muscle fatigue as well. As suggested above, the benefits of lemongrass are long and varied, and with continuing research into essential oil use, it is sure to grow. Below is a list of the most popular known uses, why they are used as such, and how to use them in the described manner. Diffused lemongrass provides both an aromatic smell, as well as benefits of inhalation. It is a fresh, lemon smell without the sharper, acidic qualities lemon is known for. Four to 5 drops can be placed in a diffuser to benefit from the following effects, or you can wear it in a bracelet or necklace, or even inhale it directly. The scent of lemongrass is considered calming and has been effective in relieving feelings of anxiety, stress, and depression. It has a mild, sedative effect that in studies has changed brain chemical reactions that influence feelings of stress and anxiety. It can be diffused, inhaled directly, added to a bath, etc. Because it inhibits bacterial growth when inhaled through diffusion, it can help with sinus and lung infection. Furthermore, the diffusion into an environment prone to bacterial and fungal growth (such as areas of high humidity) can help keep these issues in check. The natural citronella scent and properties of lemongrass are naturally deterrent to any type of insects. When diffused within a house, it can help keep them from entering or also work as a good flameless option for outdoor porch and patio spaces. The calming effect of the oil also lends itself well to increase in focus and attention. It is believed that the same effect that helps change the chemical responses in the brain to reduce anxiety relax, also focuses the mind as well. The same effects humans experience pertaining to relaxation have also been seen in animals when diffused in a room. This can be especially helpful in high-stress situations, such as during travel or on certain holidays. Topical applications of an oil should always include diluting it with a carrier oil. This is especially true when using a citrus due to possible skin irritations occurring due to the high concentration of the oil. When diluted as such, you reduce any chance of issues from occurring. Once diluted, you can apply it simply as an oil or even further mix it with your favorite lotions, gels, or sprays depending on the effect you are needing. Just as when you diffuse oils as an insect repellent, you also can use it topically as a natural insect deterrent. When used with a carrier and mixed with other oils known to repel bugs, it can be quite effective. 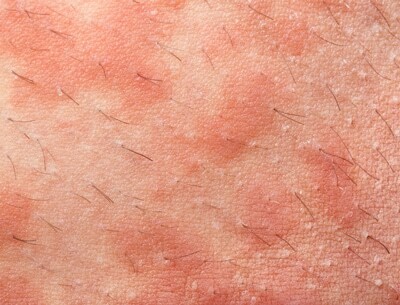 Bacterial skin issues can occur due to wounds, exposure to unclean environments, or poor immune systems. The use of this oil can help stop the spread of those microbes and help clear up the issues. Because it is antiseptic, it can help keep open wounds clean. It also can increase the healing process as it increases the contraction of muscles, skin, and blood vessels to speed up the closure of wounds. As an astringent and antimicrobial, lemongrass is excellent in keeping body odor from occurring as it is caused by bacteria breaking down proteins. Plus, the fresh, natural lemon scent is very pleasing. Obviously, as an astringent and antimicrobial, it makes sense, but this is also an antifungal as well. Skin and nail funguses are common, especially in very active people. Athlete’s foot and jock itch can be safely treated with all natural lemongrass. If you suffer from sore joints from injury or arthritis, rubbing this oil over the affected area can help relieve inflammation and reduce pain. When mixed with other oils that have these properties, even further healing can occur. As a pain reliever, when headaches and migraines occur, the scent is not only a way to help provide relaxation and increased blood flow, but also it can be rubbed on the temples and forehead to relieve discomfort. 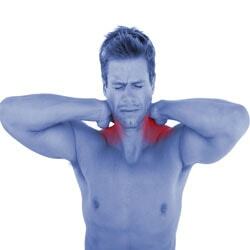 Massaging into aching muscles is a great way to help loosen tension, help reduce inflammation, and reduce pain. Lemongrass is a common ingredient in blends to help reach deep tissues to relieve the causes behind soft tissue pain. Oily skin can benefit from the use of this oil as it helps control oil secretions. As an astringent, it reduces the appearance of pores and also clears up the bacteria that causes acne. The limonene within the oil also is a natural lightening agent, which can help lighten freckles and other skin discolorations. Dandruff is caused by many different things, and amongst them include the secretion of too many oils, fungus, sensitivities to hair products, as well as dermatitis and eczema. These conditions can be exacerbated by stress as well, making the properties of this oil as explained earlier very helpful in treating this condition. Although the ingestion of anything new to your system should always be done after contact with your healthcare provider, lemongrass has been a go-to to help alleviate body discomforts for centuries. The nutritional and dietary benefits have long been used purposely to alleviate many symptoms of discomfort due to disease and illness. To use for treatment, most people choose to add the drops oil into a vegetable capsule that doesn’t degrade when stored. A few drops can also be added to your favorite cold or hot drink, or cooked with to take advantage of its amazing benefits, as explained below. Because it promotes digestion, nutrient absorption is also promoted, meaning you are getting more of the ‘good stuff’ on top of better movement through your digestive tract. This also helps alleviate gas and bloating. Just as the diffusion and inhalation of the oil can help calm nerves and alleviate anxiety, ingesting it has the same effects as well for calming the nerve inflammation caused by central nervous disorders to achieve temporary relief. The substances within lemongrass increase the formation of milk and are considered a true galactagogue. The antimicrobial and antibacterial properties can also be very helpful, especially in keeping thrush at bay. 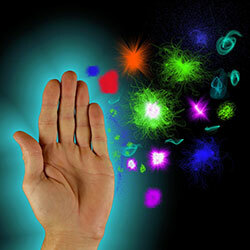 Just as when surface infections can be treated, so can internal infections. Colon, urinary tract, respiratory, stomach, and other organ infections can benefit from the use of the oil. The oil is also considered an antipyretic, which induces sweating. Sweating can reduce fevers as it helps reduce overall body temperature. Citrus stimulates urination, which helps flush your system, increase fluid intake, and overall promotes health. This helps keep excess gas from forming, helps reduce swelling, and in many cases, support healthy blood pressure levels. When mixed into a hot tea and with other oils, such as black pepper and oregano, pain associated with menstruation is alleviated. Menstrual flow is also promoted for a less difficult period. With the ability to promote bowel movements, more advanced gastrointestinal issues such as ulcers and gastritis can be treated to promote healing and help alleviate inflammation and pain associated with it. The citrus properties of many citrus based oils boost immunity in multiple ways. Lemongrass is no different, and along with its many other beneficial properties described above, it works towards keeping you healthy. Obviously, when you cook with lemongrass or lemongrass oil, you receive all of the nutritional aid provided above through ingestion. But that is just a perk of cooking with it, lemongrass has been used for centuries to lend flavor to our favorite dishes. Considered an enhancing herb, the flavor is a subtle lemon-lime without the acidic bite, and it is a favorite for both hot and cold teas, as an addition to white meats and fish and also as a natural flavor ‘brightener’ in sauces, rice, and salads. Mentioned above are some of the ways you can blend the oil with others for various properties. Lemongrass lends itself well to multiple blends for various uses due to its light scent that isn’t overwhelming. Other oils that have similar properties works well for many of the above applications described above. Some of the most popular ways to blend this oil include for cleaning purposes, as well as topical, and ingestion to address specific concerns. The astringent and antibacterial properties make this an ideal oil for mixing into cleaning solutions. In many cases, it is already found to compliment other oils and marketed as a blend specific for cleaning. However, it is easy to mix in with your favorite organic cleaning liquids to be used as a spray or floor cleaner as is. Plus, it leaves behind its refreshing scent. When topically applied with a mixture, the most popular reason is for insect repellent, massage, and alleviation of pain and inflammation. The scent of lemon lends itself well to almost any other scent, making it a good choice in the way of the overall smell. Its properties compliment many others that are similar in nature and helps strengthen anti-inflammatory, antimicrobial, and other types of treatments for healing various ailments. It also works well when blended for skin care. As explained, it is an excellent choice for healthy, glowing skin, and it can be easily be incorporated into your favorite moisturizers and cleansers along with other oils that provide similar effects. As with any essential oil, there are certain factors you should always consider prior to purchase and use. To start, know your quality. This includes a transparency with the company you are purchasing from to provide where the plant the oil has been taken from is grown and in what sort of manner. Also, be aware of your use of the oil- a less expensive bottle may hold 100% oil, but it may also already be mixed with a carrier, making it less effective especially if you dilute it further. The reverse of that is also being aware of how much of an oil to use when blending so you do not use too much. Lemongrass has the potential to cause dermal irritation when used as a pure concentrate. Generally, you will see this occur immediately after use, and so, a skin patch should always be performed in advance as mentioned above. Otherwise, it is considered one of the safest oils to use when used correctly, but before the ingestion of any oil, especially if pregnant or nursing, you should consult with your doctor. This is an exciting oil to have in your cupboard as it lends itself so well to such a large range of uses. Whether you simply love the scent and want to take advantage of the uplifting aromatics or appreciate the many healthy properties it can provide to both external and internal, it is well worth trying out. Lemongrass oil is also abundant and is grown in many places worldwide due to its long, varied history within different cultures. This makes it affordable and easy to find. We would love to hear below your favorite ways of utilizing this oil, as well as any questions you may have. And, as always, please share this amazing oil with your friends!